Struggling with the high costs of living, Irery’s family felt isolated and alone, not knowing who or how to ask for help. Through the support of Project AIM, Irery found determination and the support she and her family needed. Though she found housing, she was forced to leave two weeks after moving in. The family continued to struggle as they faced the high cost of living and couldn’t make ends meet. Irery and her daughters became homeless and they needed help. United Way of San Diego County knows that family stability is the foundation for all academic success. That’s why access to education is front and center in our work so we can support young learners on their way to later success in school and life. Thanks to help from her daughter’s school, Irery was connected to Project AIM, a program operated by North County Lifeline, in partnership with Vista Unified School District and United Way of San Diego County, which provides intensive case-management support for families as they work towards independence and academic success. In the program, Irery focused on finding stable housing, employment, adult education, and navigating benefits, such as food stamps. Her goals centered upon safety, happiness, and consistency for her children. Through Project AIM’s services, Irery hoped to achieve the kind of stability that would prevent them from becoming homeless again. With the encouragement of their family support worker, Irery and her daughters actively and diligently participated in their case management program. 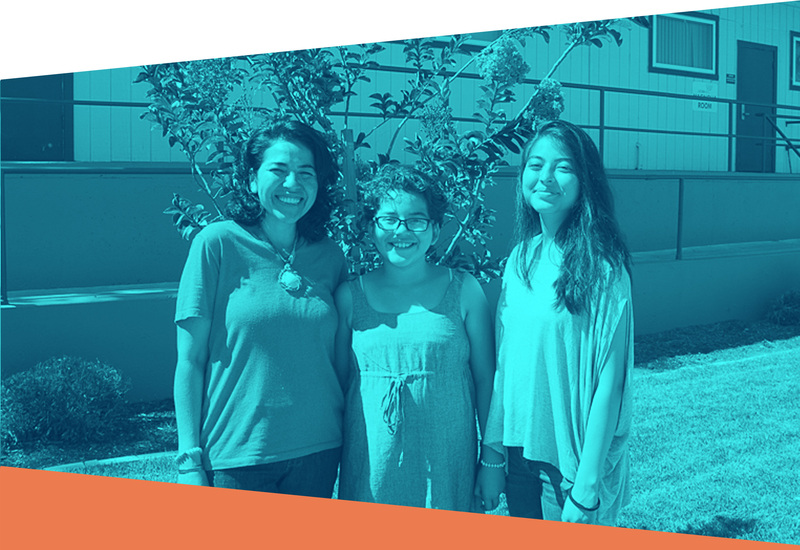 Irery began community college full-time, secured benefits for her family, and increased her income by starting two sales businesses—jewelry making and holistic supplements—while her daughters focused on their grades and attendance. Project AIM has helped Irery maintain housing, pay for transportation to school, purchase necessary school supplies, and obtain a business license. Her daughters have excelled in school, and her oldest daughter recently graduated at the top of her class! Together, with North County Lifeline, Vista Unified School District, and the Siemer Institute, United Way of San Diego County is working to change the odds for children and families in our communities.